And the new missions in the season passed uneventfully for me. I got over being so angry about how the Moonchild storyline had evolved. (I *was* pretty angry last time, right? Angry because something I loved so much had so profoundly upset me. Still loving it, but so mad with it too.) Because of that I stopped looking for every inconsistency. There was one episode on a boat, which did stir up some doubt again, but after that Moonchild and I quickly settled into a relationship where we each understood our part. She could have taken me over, apparently, but she didn’t. She didn’t want to. Being part of me had changed her and for the better. That was the theory and it’s a nice theory. I wonder what she will do now. She’s still a physical part of my brain. Maybe she’ll become my conscience, the voice of reason. Not that she was the devil on my shoulder before. She always helped me. I sound a bit like the Minister saying that. What I find more interesting now is a parallel storyline that developed in the last mission of the season. Veronica, the young scientist I mentioned in the previous piece, merged with Annie, an A.I. It does feel as if Moonchild becoming part of me was a deliberate precursor to Veronica becoming part of Annie. I do continue to feel that the Zombies, Run story is very well written, and for the most part, very well planned. When I last wrote I did feel that the writers changed the rules halfway through with regards to me and Moonchild. I have less emotion about that now but I still think it’s true. But I can see they did have their eyes on the long game because they were preparing us for Veronica/Annie. For season seven, I hope as Runner Five I will have the opportunity again to find something that belongs to me. I also hope the writers will keep in mind that I am a character, just like Sam and Janine and all the others and how I feel about things needs to be imagined and built into the story. I know as Runner Five I am not just one person, I am many, I am everyone out there playing the game and that complicates things. But at times there is going to need to be a position on how I feel about things (and that’s definitely affected by the writing, characters like Moonchild and also Amelia, who are ostensibly the Bad Guys have their personalities become fuzzy over a period of time. And I mean that as a complement rather than as a criticism. Reluctantly or otherwise they show their good sides and then they become complicated because even though they’re not all good, they’re not all bad. It’s one of the strengths of the writing) and that position needs to have its own internal logic and consistency. Naomi Alderman tweeted yesterday that she has started the writing for season seven. Yet again, I can’t wait. I have loved Zombies, Run! almost as I have never loved any other piece of storytelling. And it’s the most immersive experience I’ve ever had with a story. That’s not to say it’s perfect, but sometimes it’s felt like it’s come quite close. I’ve given myself away already by describing Zombies, Run as a story. Actually, it’s a fitness game in app form. The basic premise is you are a runner during the zombie apocalypse. I first downloaded it in the Australian spring of 2015. I wanted to start running again (and I did, briefly) and I listened to it from my first run. It begins with you surviving a helicopter crash. You were on your way to Abel Township, a group of people banding together on what was a farm before the apocalypse. Your helicopter didn’t just crash by itself, it was shot down by a rocket launcher. Why? Who did it? And are you really who you say you are? Actually, you can’t talk so you don’t say that you’re anybody but the assumption amongst those in Abel is that you were in that helicopter because you were part of a supply run. And there *were* some supplies on board. But the pilot told you that you were actually coming in for a mission called Project Greenshoot, though you hadn’t been briefed on it yet. Someone was going to do that when you landed. And then that person doesn’t reveal themselves straight away because they’re suspicious of you. So what are you doing there? You don’t know. But you’re put to work straight away as a runner and as you’re an upright sort of person, bit by bit you gain everyone’s trust and you become one of the main people at Abel. And your designation, Runner Five, becomes your name. Five. It’s who you are. The app works along with your own music. It fades the music down when there’s more of the story and then turns it back up after you’ve just been urged to Run! There’s always an urgent need to run. Either away from zombies or towards a person who needs saving or a target that needs protecting from your enemies. And there are enemies aside from the zombies. Human enemies. There is a whole world in Zombies, Run. I remember being delighted after that very first run I did. I’d finished and was doing my stretches on the stairs, still listening to my music (The Julie Ruin album Run Fast). I hadn’t turned the app off and Radio Abel started. Radio Abel was Jack and Eugene telling silly jokes and reading out public service announcements. Actually, I never really liked Jack and Eugene (though I think I’m in the minority there). Their jokes weren’t my kind of silly. But I liked the fact that this world contained them. That somebody had had the idea, let’s have a radio station at the end of the world. And it’s not even part of the main story. You only hear it if you keep going after your run. But, as it goes, that short period of running was for me, quite short. I stopped running and forgot about the app for a long time. Then, on the 2nd January this year, I was at an airport very early in the morning and saw a tweet from one of the app’s creators, Naomi Alderman. They were looking for new writers. There was a brief and the major part of it was to write a page of dialogue for Phil and Zoe. (You also had to create a game. But I already had a game.) The deadline was the end of that month. I had no idea who Phil and Zoe were but I figured I would find out. So I started listening to the app again from the very beginning. I was not running at all. But I was walking a lot. Every day. So I would go out in the evenings (I was in Brisbane then so the daytimes were quite hot) and I would walk and I would listen. After some frantic research, I discovered that Phil and Zoe appear in season two as the hosts of Radio New Tomorrow, the radio station of New Canton (the neighbouring township to Abel). I still had all of season one to get through. How to get through it faster than the pace of the app, which doled out story segments to me based on my distance covered? I tried all kinds of tricks, including listening to it on a bus so that I got through the kilometres quickly and the story kept going with no break. Then I discovered I could get the app to measure the gaps between story segments in time rather than distance and that gave me more story more quickly during my walks. But the end of January was looming. I was onto season two but only hearing Phil and Zoe at the ends of episodes of the main story. I needed to hear more of them if they were the characters I was writing for. Then I discovered that their radio segments were available as a separate download. (Yes, it would have been better if I’d worked all this out at the beginning, rather than as a series of haphazard discoveries as time grew short.) I put aside the main story and started listening solely to them. By now I was mainlining the game, listening as I did the dishes and walked around doing bits and pieces in my daily life. I finally had enough to go on. I wrote and rewrote my dialogue. The writing came easily, especially Zoe’s voice, which is very distinctive. I could hear her saying the lines I’d written. I sent my application off in time for the deadline. And then I went to New York. I lived there for some of 2001 and it was my first trip back since. It was a big deal to me. I spent my time looking for echoes of the places we used to love and not finding anything because too many years had gone by. On my last day, as I was sitting at the airport waiting to leave, I discovered I had a Zombies, Run rejection email. I left the New York winter behind and returned to the Sydney summer. And I kept listening to the game. I may have been out of the running to be a writer but I still wanted to know what happened. By accident, one day I turned a mission off when I was half-way through it. I’d reached the end of a story segment and when I turned it back on, I discovered I’d made the app skip over the enforced break. Too late, I had discovered how to (very inelegantly) make the app go faster. But now there really was no stopping me, I would listen to two or three episodes during a walk. I had picked up the main season two story again and it ended so climactically and left me both so shocked and so gripped, I knew I was in for life. That was the point at which this app became all about storytelling to me. Great storytelling that grabbed me and pulled me along. I could easily write now about character arcs and backstories and plot lines, all of which are so rich in Zombies, Run. But I’m going to focus on what made it exceptional, to me. Major spoilers ahead. In the game it was season three. In my real world, it was a few days before Easter. I was in Brisbane, walking along Southbank on my way to meet a friend in the City for dinner. It was a balmy autumn evening. I think there were people swimming as I went by the beach. I was listening to Zombies, Run as I walked and I got mind controlled. By Moonchild, the hippy, evil genius scientist. Moonchild believed that if people didn’t think so much and worry so much everyone would be happy. Her solution was mind control and once she worked out how to do it, she took to it enthusiastically. For me as my character, the whole experience was very bad – Moonchild made me do some terrible things. But for me experiencing the game, it was great. Especially the moments as I was becoming mind controlled and had no idea of what was going on and the game played with that. And also in the first mission afterwards, when I had become immune to Moonchild but my mind was struggling to grasp reality and accept what I had done. The game placed me in a sanatorium with characters I believed (knew) to be dead. All of that was done so well. But what it led to was even better. In season four, Moonchild, though dead by now and though I was also immune to her, started to talk to me at moments when I was really up against it (her words). She was a voice in my head and she would ask was she real or was I imagining her and I’d be wondering the same thing. She’d give me vital pieces of information and she’d question if she was telling me something I already knew (something I’d heard when I was mind controlled perhaps) or if it was new information. The questions seemed leading but actually neither of us knew the answers. Once, she tried to get me to shoot a gun but I wouldn’t so she didn’t have control over me. Her help *was* helpful though. By the end of season four she had decided she was a voice in my head triggered by stressful situations and I tended to agree. I was in awe of the writers. They had given me something in the game that belonged to me and me alone. It’s both a great freedom and an intense limitation of the game that I can’t say anything. Mostly it’s not an issue. I don’t tend to disagree with the decisions of the other characters but sometimes I do get annoyed with situations I’m put in. And being told to ‘Run!’ all the time can get a little grating (especially if it’s Veronica, an intense young scientist, saying it). But now here was something I knew about that the other characters didn’t. And it often got us out of scrapes. Very big scrapes sometimes. And for me, having a secret that was just mine gave me space in the game that belonged to me. It made my character more real. It made an already immersive experience better and stronger. By the end of season four, when the Minister was spreading propaganda against Abel and successfully turning most of the post-apocalyptic world against us I was living that grief and disbelief with the other characters. When we had a message from Bernard from New Canton that they would stand with us I was overcome by relief and happiness. Season five was also very strong. The Minister had taken over Abel and put the journalist Ian Golightly in charge. Ian turned out to be a very small person and a very powerful bully. He was killed in the last story mission of that season. He had to die. But there was no triumph and no gloating at his death. We got Abel back, but everybody lost. Throughout the season, Moonchild had continued to talk to me at life-and-death moments. And also to be the part of my mind that points out things to me. Good things and bad things. Things I need to pay attention to. I started season six with trepidation. It was June and I had been living the game quite intensely since January. At one stage, I’d had multiple seasons and hundreds of missions lying ahead of me. Now I was caught up to the current season. Two missions were being released a week. I was about to come level with the current reality of the game. After that I would have to wait for missions to be released. Ok, I was thinking to myself. It’s not just me then. I’m not the only one you talk to. Moonchild appeared to already know about this, but I thought it could just be her adapting to a situation that looked like it was in her favour. I was also thinking that at some point I would have to confess to the others that I had something like that too and I was wondering how I would be able to do that within the limits of the game. But I didn’t need to. Two of my colleagues, Sam and Jody, were on comms and Jody casually mentioned it. She said to me that she didn’t realise that there was a name for it – Moonchild Syndrome. And then she told me that everybody knew I had it. Apparently they’d all worked it out in the previous season. Even Jamie, one of the people I was with who we’d just rescued from the Minister and hadn’t been with us for a couple of seasons, knew about it. He told me he was sorry I had it and that he was sorry that the Minister was looking for people like me. What I wanted him to do was apologise for having spoken about me behind my back. For months. But that wasn’t reasonable, he’d been locked up, he wasn’t one of the people who’d been talking about me. So one of the others then, any of the others, I was waiting for an apology. Instead, what I got was Sam giving a speech about how hard everything is right now but we’ll prevail. Good will win against evil. Etc. He went on and on. I wanted him to shut up. I wanted to shout at him. I’d never felt like that before. I like Sam a lot, he’s always had my back. I couldn’t believe the game would be so tone deaf towards me. Had the writers never thought about how *I* felt, what *I* would like, as Runner Five? Fair enough if Moonchild talking in your head is now a major plot point, I can work with that. But to take this thing away from me so casually and so thoughtlessly. I had thought the writers were so genius to give me this gift, but after that I lost a lot of faith that they knew what they were doing either when they gave it to me or when they took it away. And then it just got worse. Some missions later I was in a house that zombies were breaking into just as scans were being done on my brain to understand more about Moonchild Syndrome. As the zombie threat grew, Moonchild took control of me and made me jump off a treadmill, run down a corridor and activate the AI that presides over the house. ‘I’d never usually do this’, she said, meaning take over my behaviour. Yes, I thought to myself. That’s because you couldn’t. But now the writers have decided that you can. And by the end of that episode it was discovered that Moonchild was a brain within my brain. A physical phenomenon. Something real. So, for something that I have loved so much, this is not a great ending because shortly afterwards I drew level with the game and I don’t yet know how the Moonchild storyline plays out and how it all affects me. Half the season’s missions have been released and the game is on a hiatus after which we’ll get the rest of them. While I’m unhappy with my own narrative, I do love Janine’s storyline. She is our leader at Abel but was not present for quite a lot of this season so far. When she returned she was Emma Peel crossed with a riot grrrl. She probably always had been, but we were able to see that so much more clearly outside the confines of Abel. She was running a team of female assassins and she was undercover as a chef. I kind of really want to be her. The last story mission left me in a very bad situation with the Minister and on a massive cliffhanger. No matter what, I am definitely looking forward to finding out what happens next. I’m still with this game for life. I’ve been away from this blog for a long time –> two and a half years. (Not-so) coincidentally, that is also the amount of time I’ve been writing for IBM Watson. It’s been a very consuming job. But this year I’ve been playing Zombies, Run! and (mostly) loving it and I’ve recently had some time and headspace so I’ve written something about it. I wanted to say hi first though. 80 Days was one of the big games of 2014. Both games and mainstream media loved it and many games makers and writers whose opinions I respect, such as Emily Short, Anna Anthropy and Simon Parkin, included it amongst their favourite games of the year. Over the past month I’ve played it three times and I couldn’t understand why so many people rated it so highly until the third game when I was able, partly through luck, partly through design, to make a few connections between the stories. I get it now, but I also think the storytelling is fundamentally flawed. Without question, the game is beautifully written and as Anna Anthropy says “it’s a great reimagining of super-colonialist source material that re-centers the story around non-european characters and their lives”. But the problem is all that beautiful writing about undeniably interesting characters didn’t draw me in at all. When I finished the game the first time, I was reminded of Fallen London. At first glance there is so much depth, but the fragmentary nature of the storytelling means that there are few or no connections between the stories. And no connections between the characters. Also, no opportunity for character development because there’s no reflection either. So that means for me, there’s no pleasure in the reading. And so then I don’t understand why I’m reading. But I do understand how important conversation is on a mechanical level in a story like 80 Days. Someone you meet tells you about something in another city and then a route opens up to that city. That’s how you move forward so that’s vital. Similarly, being told what you can buy in this city that you can sell for a profit in another city is very helpful, especially when you’re constantly on the verge of running out of money and you don’t have enough to pay for your next passage. What I would like though is for the conversations to also work on non-mechanical levels. I want a meaningful connection with the people I encounter along the way. I’m travelling the world, living on my wits and meeting people who are on the inside of some very big upheavals. I’m constantly stumbling through revolutions and wars and the people I meet provide an insight into what has brought their city to this point. And I go through experiences with some of these people where we could easily die. Surely I’m going to grow a little from all of that. But I don’t appear to. I can spend a number of days with my fellow travellers but once we part company I never think about them again. Nothing they say or do influences me. Nothing I experience makes me change my behaviour. I never reflect in any meaningful way. During my first two play-throughs I didn’t relate to any of the characters, including my own. The third time I played, I tried to be more consistent in the responses I chose to situations and that gave me a greater sense of who I was as Passepartout. But I didn’t have emotional reactions either as the character or the player. I felt no tension, even when my life was at risk. Sometimes I tried to help people, at a cost to myself, but I still felt nothing. As I said, it was the fragmentary nature of the storytelling that reminded me of Fallen London. And after my first game I looked up Meg Jayanth, the writer of 80 Days, and discovered she’s also written for Fallen London. So then that made perfect sense to me. Fragmentary storytelling, that’s what she does. Since then, I’ve thought more about Fallen London (and played it again) and realised how unfair that comparison was. There is a logic and depth to 80 Days that is not evident at all in Fallen London. And in 80 Days the characters are very real and breathing compared to the shadowy outlines that flit past in Fallen London. Yes, that is partly Fallen London’s style. And also one of its central weaknesses. I first played Fallen London in July 2013. I wanted to like it but right from the start I had problems with it. My notes from the time express my annoyance with the fact that the game doesn’t remember anything. I still have a copy of an email that it sent me just after I’d started playing, telling me that I have an appointment with the Last Constable. I’d seen the Last Constable the day before. I clicked on the link in the email to go and see her again but it didn’t take me to her directly. And then when I did make my way to her she didn’t remember that we’d just met and even though she’d apparently summoned me because she wanted my help (to find someone called the Cheery Man I discovered), she didn’t seem to be aware of that fact. And she was quite unhelpful in what she told me. So why did the game send me an email? It would have been ok if my character could have expressed frustration or gone off and talked to someone about it or if the Cheery Man had then contacted me and shed some light on the Last Constable’s character, but the game doesn’t allow any of that. In fact, the Last Constable doesn’t have a character as such. She’s just a device. I never found the Cheery Man but I presume he doesn’t have a character either. That was one of Fallen London’s story fragments. Once that fragment is over there are other fragments to play. There are no connections between them and therefore nothing means anything. You play this bit for the sake of it and then you play another bit for the sake of it. And that’s it, that’s all. I also wrote frustrated notes about a place within the game called the Ladybones Road. There, I took up a challenge to study the hidden language of tattoos. I was apparently successful. “Customers boast of their tattoos and their esoteric meanings. Some of it is obvious nonsense, but certain symbols and patterns come up again and again: the Wheeled Eye, the Broken Sun, the Child-and-Chariot, the Singer of Roses. You make notes, and extend your understanding.” That’s what the game reported to me on my success. But what exactly was the understanding that I had extended? Those words sound good but what do they actually mean? How are they contributing to the story? What can I do now? I don’t know. Nothing, I think is the answer. The game does not come back to this. It’s filled with words such as these, they sit prettily and don’t do anything. Because the last time I spent any meaningful time with the game was in 2013, this month I have played Fallen London again. There have been some changes – I now have 20 actions instead of 10 when I begin playing and there’s a journal where I can record my progress. That seems like a good idea but then all it asks me to do with it is make a record of the game text. And meanwhile, there is still no character development. My inability to make meaning within the world of the game makes me not care. In 80 Days, I never managed to navigate the world in the required amount of time. That has consequences for Phileas Fogg, my master, but his character isn’t developed so what does it matter? He never talks to me about what he has either to win or lose from the journey and I never think about how winning or losing might affect me and whether or not my wants and needs are in sync with or in conflict with Fogg’s. There’s a fascinating storyline, where, while in Hong Kong, someone who says he’s from the UK police tells me that Fogg is a bank robber and tries to separate me from him by getting me addicted to opium. I found myself in Hong Kong in each of the three games. The first two times I successfully resisted the opium. The third time I succumbed. And in my opium-addled state the policeman was able to put me on a flight to Yokohama. Without Fogg. I was annoyed the first two games because afterwards my character apparently never thought about that episode ever again. I didn’t seem to harbour any suspicions towards Fogg and conversely, I didn’t feel that someone was out to get him and I should warn him or protect him. At no point did I worry for myself that someone had tried to get me addicted to opium. During the third game, however, while on a train between San Francisco and New York and talking to a Pinkerton agent, I was suddenly moved to defend Fogg and say he’s not a bank robber. So it does come up again. But just as a side detail. There’s obviously a flag in the game, where Fogg reacts to certain things I do and that either increases or decreases his opinion of me, which then is reflected in how snappy he is or isn’t when he’s making small talk with me. But small talk is all it ever is. I’m travelling the world with a stranger. And maybe his position as my aristocratic boss means that he should remain in some way a stranger but people reveal themselves to each other all the time. And strangers who see each other every day develop some understanding of each other. Externally, there is so much that’s interesting in this game. But internally, there’s almost nothing going on. My character doesn’t develop either through reflection or experience and I finish with no greater understanding of the man I’m travelling with than when I started. I have not yet tried to build anything more complex than a Twine game. And in fact in terms of complexity, my Twine game is more of a Twine story. So I have not experienced how much of an impossible task it might be to build a virtual Earth, where one can navigate in rapidly expanding directions and have each conversation remembered so that it influences what comes next. But as a player I know I don’t want fragments. I want proper joined-up stories. I want to care. I want my character to develop. I want the characters of those I interact with to develop, maybe not the minor characters, but certainly the major ones. And if shocking or astounding things happen to me then I want to see the ripples from those things as they affect me and my life and my decisions and how I feel about things and how I act. Because otherwise I might appreciate intellectually how well a story is written, but if it didn’t make me feel anything then I don’t understand what the point is. And after that I don’t care, I just don’t care. Jeffrey Yohalem is a video game writer and designer. He works for Ubisoft Montreal, which is one of the big (AAA) game studios. A couple of weeks ago, during the Brisbane Writers Festival, Yohalem gave a talk at the State Library about writing video games. He divided his talk into two parts. In the first he schooled us in how to write games that are immersive and meaningful. In the second he described the battlefield that is the AAA studio, where no one cares about story except the writer. Yohalem believes that video games should be immersive experiences that treat players as actors. If we are inside a game, acting it as if we are living it, the game gives us the ability to reflect on our lives. It also allows us to empathise with other people because we can experience someone else’s life as it if was our own. To illustrate his points, Yohalem quoted often from the director and teacher Konstantin Stanislavski. Stanislavski believed that actors should draw upon their own life experiences and emotions when they take on a role. Yohalem used his writings as a kind of a handbook on game design. It is a given in AAA games that there must be one consistent super objective presented to the player within the first half hour of the game. And then everything the player is able to do within the world of the game must reinforce that super objective. At the moment, these super objectives are always external, for example you may need to save friends or solve a murder. But Yohalem believes that in the future they will be internal. He says that scenes and dialogue are less important than gameplay. If scenes exist they should be a transition between gameplay. He believes that pure dialogue moments such as cutscenes shouldn’t exist. Games do not need them to convey meaning. He talked about good directors enticing protagonists towards meaning and bad directors shoving meaning down protagonists’ throats. He believes that in the future, games will have A-list mechanics that are subtle expressions of life. He talked about shooting people as a B-list mechanic. He says there will be emotion-based dialogue systems but they won’t involve player/actors choosing what they say. Words are the least important part of the game. He talked about new analogue mechanics and control shifting, where controls are kept contextual. He didn’t elaborate but what I think he meant was the player/actor will keep control over what their character is doing rather than having the game suddenly step in and force decisions. In the second half of the talk, Yohalem told us what it’s like to make a game in a AAA studio. There are a number of stages, and early on, in pre-production, the arc of the game is created. But the writer isn’t necessarily involved at that point, often they come in later and create the story as a kind of wallpaper over the top. Nobody in the studio has the luxury of time. 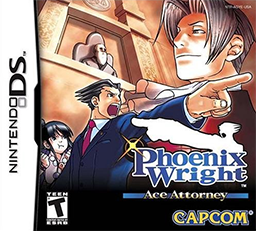 Games are rushed through and developed as quickly as possible. People work long and hard. And Yohalem told us that no one on the team will want to work overtime because of your story. And no one on the team will read your script. Anything you put in the script is just for you. All the big decisions about the game are made during the pre-production phase. The level designers create the levels based on what was decided back then. They don’t care about the story that you’ve subsequently come up with and are now trying to tell. And they can end up putting characters physically in the wrong place or dialogue where you can’t hear it because of shooting that’s happening at that moment. Their focus is on making levels where cool things happen (cool being a subjective word), they don’t think about how that might fit with the story. Continuing his earlier theme, Yohalem said he thinks that level designers should have film or theatre backgrounds. That’s how he believes things will change. At the final stage of the process, studios bring in a closer. The role of the closer is to make a passable game that recoups costs. They will make cuts that will potentially damage the coherence of the story and they won’t care. This second half of Yohalem’s talk was quite astonishing and also quite sad. During Story+ the day before, where Yohalem also spoke, someone said they felt that AAA studios are putting out the same game over and over just each time with a new skin. Yohalem concurred. During this session he told us that there’s no time within the schedule to invent new mechanics or do any adequate playtesting. He said that indie games are the prototypes now. 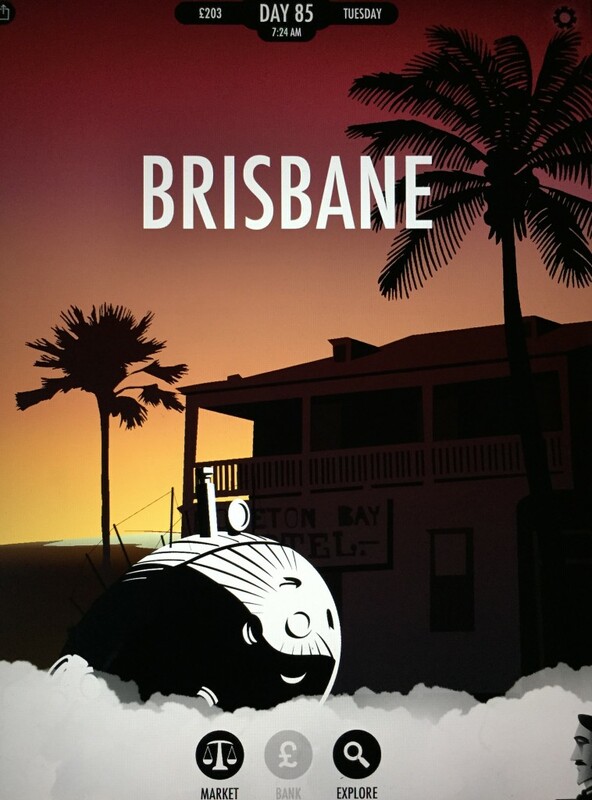 A couple of weeks ago, the Brisbane Writers Festival held its second Story+ conference. Story+ was created to look at the intersection of narrative, design and technology. The inaugural Story+ last year was a one day event, but this year it took place over two days: Thursday 4 September and Friday 5 September. Day one was about interactivity and day two was about authoring. Day one began very well with a keynote from Jeffrey Yohalem from Ubisoft Montreal talking about how he believes we’re in the infant stages of game design and have stalled. He says, at least in AAA terms, we’re making the same games over and over. He thinks it’s technology such as the Oculus Rift that will allow game design to progress. And he had me almost cheering as he talked about doing away with cut scenes and finding ways for players to travel through scenes rather than watch them. Next up was Christian Fonnesbech, who has made a game called Cloud Chamber. Fonnesbech showed us a video introducing the game and the impression I took from the video was that Cloud Chamber is an alternate reality game. But later on, I realised that’s not so. ARGs have real-life footprints created for the characters and as far as I’m aware, the characters in Cloud Chamber exist only in the game. During the afternoon session, Fonnesbech described the genre as “discussion as gameplay”. You can’t progress unless you engage with others who are playing and get enough likes for your comments. Progression equals getting access to videos and data files that further reveal the story to you. The final keynote of the morning was from Greg Broadmore from Weta Workshop in New Zealand. He talked very disarmingly about what he has created at the workshop. He is also just about to make a game with Magic Leap. He said they have a top-secret technology, and the impression he gave was that this technology is spatially based. I looked for more information on the Magic Leap website, but it seems to have a virus on it (which is not confidence-inspiring). However a recent New York Times article says that Magic Leap are developing a virtual reality technology that is different from others because it will not cause motion sickness. The keynotes were followed by a panel discussion on interactive storytelling chaired by Simon Groth from if:book Australia. Richard Wetzel, a PhD student at the University of Nottingham, talked about mixed reality games. One of the examples he gave was TimeWarp, which was a game that involved players chasing robots around past and future versions of the city of Cologne. Sue Swinburne, a documentary filmmaker, talked about her work with Brisbane studio Halfbrick, who make casual games. And Christy Dena talked about her work, particularly AUTHENTIC IN ALL CAPS, Robot University and her latest project, DIY SPY School. We broke for lunch then and returned for an afternoon session that was a good idea in theory. It involved a series of discussion groups and workshops with the morning speakers. But unfortunately, there were no organisers to organise these groups and as a result they didn’t flow in unison with each other and there weren’t proper opportunities to move between them. I sat with Christy Dena and Christian Fonnesbech. What I particularly appreciated out of that session was the list of books and games that Dena recommended to us. The day ended with a keynote from Conor Linehan, a lecturer at the University of Lincoln. He talked about location-based games (of which I believe mixed reality is a subset) and the possibilities they create for audience interaction. Day two was about authoring and began with three exceptionally strong keynotes from Richard Nash, Joanna Ellis and Mike Jones. Nash reminded us that publishing has always been about people trying to make books that are cheap and convenient. Jeff Bezos and Amazon have now pushed that as far as it can go. Nash quoted Borges to us, who said that a book is not a static thing, it’s a series of relationships and conversations with a reader. It’s from this realisation that we’ll figure out how to go forward. Ellis had a similar sort of message as she showed us that what we think of as new in 21st Century publishing actually has a very old history. Virgil was a keen proponent of fan fiction, using the work of Homer. The first interactive book, called a volvelle, was made by a monk in the 13th Century. Agatha Christie’s debut novel The Mysterious Affair at Styles had plans and clues at the back of the book to help readers work out the story, this can be thought of as gamification. And the original of T.S. Eliot’s The Wasteland shows that it was heavily edited by both Ezra Pound and Vivienne Eliot, so it’s an example of collaboration. Ellis said that there’s always been a disconnect between the creative impulse and the ability of the creator to make money from it. And she talked about the work she does with The Literary Platform and The Writing Platform to help writers. Mike Jones told us how in a multi-platform world of dispersed audiences, a writer cannot be defined by a medium. He took us through the six steps he said would help us adapt to this writing landscape. I thought his strongest points were about the importance of the storyworld compared to the story and the need to make a minimum viable product. Minimum viable product might sound like awful business speak, but it made absolute sense when he talked about it. What element of your storyworld can you build out first to create interest and trust? Use your minimum viable product to prove that you have an audience and that is how you can get funding to build more of that world. The panel that followed focused on writing in the age of transformative media. The panellists were Mike Jones, along with Greg Broadmore from Weta Workshop, the novelist Lauren Beukes and Malcolm Neil of Kobo. The panel was chaired by Jason Nelson, who is the current Digital Writer in Residence at QUT’s The Cube. As I was due at the separate Jeffrey Yohalem session on Writing Videogames in the afternoon, I didn’t get to stay for this entire panel. While I was there, all the panellists spoke about their work and it was Malcolm Neil who I thought had the most interesting perspective as he has a business background in ebooks and so is well poised to give us an insider’s view. Unfortunately, we didn’t hear too much from him. He did say that he thought digital won’t reach its full potential for another 10–15 years, but he wasn’t drawn out about this and so it wasn’t clarified whether he specifically means digital books and what he thinks that potential is. The afternoon was due to be another round of discussion groups and workshops led by the morning speakers. And the afternoon keynote was being given by Tom Uglow of Google Creative Lab. Unfortunately (though also fortunately because it was really good), I decamped to the Jeffrey Yohalem session so I missed the rest of the day. I didn’t get as much out of Story+ this year as I did last year. A frustrating first afternoon didn’t help. But also, I think the panel discussions were too broad. And they were more about the individuals involved and their specific work rather than ideas. Panellists had different sorts of experience across different sorts of media. But what should have united them were the ideas. What are we doing? Where are we going? Jeffrey Yohalem opened the conference on the Thursday morning asking these questions. But any coherence ebbed away after that. Friday morning also began strongly with the keynote speakers looking at the past and how it reflects on the present and then plotting a way forward. But the panel that followed again meandered all over the place. I’d like to see Story+ come back next year but I’d also like there to be more coherence across the conference. It was a good idea this year to have a focus around interactivity and another around authoring, but those themes were too broad to stand by themselves. The organisers need to break down those central ideas into a series of questions and then brief the speakers. The panels can then be planned around what those questions are. That way, when we hear panellists speak about their work it’s within the context of the ideas that are being discussed. I don’t want to be too prescriptive. But having a plan keeps you focused on what the point is. I’m also all for taking detours from the plan. I think you can do that once you understand what you’re doing. But elements of this year’s conference felt like detours from the whole point of why we were there. 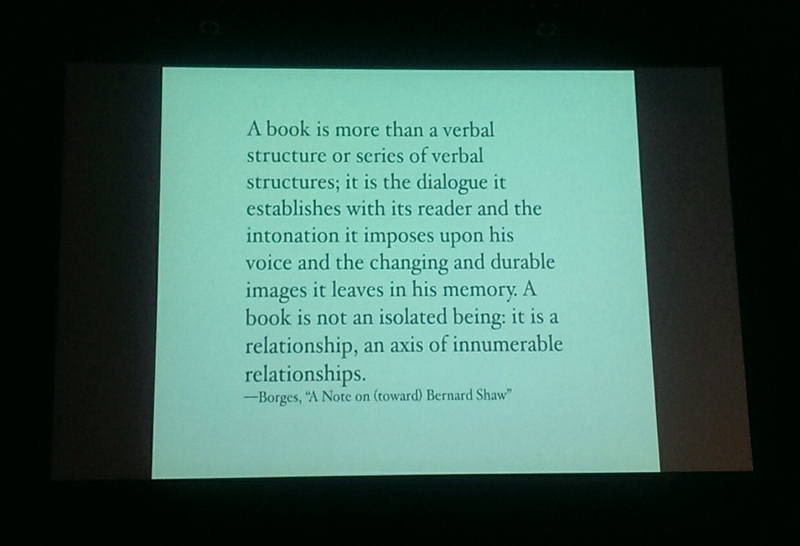 On Saturday, I was at the Sydney Writers’ Festival and attended a session called New Worlds: Digital Storytelling. This session threw together (almost literally) Cornelia Funke, an author using digital technology as a way to further expand her story world, Inua Ellams, a poet using Twitter as a medium and Kavita Bedford and Connor Tomas O’Brien, two people using the digital space as a way to bring communities together. I think this particular grouping of artists and creators was a bit confused and we need to think about what we mean when we talk about “digital storytelling”. I first had this confusion a few months ago when the Digital Writers’ Festival was on. (Connor Tomas O’Brien is the Director of the Digital Writers’ Festival and that’s what he was talking about at the SWF event.) Because it was called the Digital Writers’ Festival, I thought that meant it was going to heavily feature sessions about literary works conceived using digital technology. That was my thought that when I first heard about it, it was my thought during the program launch and continued to be my thought during almost the entire 12 days the festival was on. But there was something slightly wrong because nothing in the program was particularly about “digital works”, as I understand them. I knew, obviously, that the Digital Writers’ Festival was happening online rather than in a physical place, but as my whole focus is on digital works I continued to engage in a bewildered way with the program until towards the end of the festival, when it finally dawned on me that the “digital” referred to the digital space and pretty much the digital space only. At this point, it would be easy to say that the confusion is all mine and that when people talk about “digital storytelling”, they clearly mean storytelling in a digital, read online, space. Except that even the Sydney Writers’ Festival got confused and put Cornelia Funke, who has made a digital work (actually, a super impressive digital work) on a panel alongside people focusing on the digital space. This might seem like stupid semantics, but it’s not. Last year I wrote about confusion surrounding the word “interactive”. Now I’ve realised there’s a similar kind of confusion around “digital”. By now, most of us are used to using the digital space. It may be something that’s constantly evolving but from early chatrooms to email to Skype to Twitter to virtual meeting rooms, we’ve been interacting in these spaces a long time. And they hold great possibilities in terms of deliberately bringing communities together in meaningful ways. But then there’s also the interactive stuff, which is what I get excited about. Interactive and digital are not interchangeable terms. But digital works hold the possibility of being interactive, which I define as the audience — be they reader, viewer or player, or a combination of all three — having influence over a story as it unfolds. This is the kind of thing that can happen in digital works because digital works are about content. The digital space is something different, it’s the online bit. So when we talk about digital storytelling — we need to be very clear, do we mean the mechanics of storytelling in an online space or do we mean the stories we create in those spaces? Personally, I’m not that interested in the spaces by themselves, but am greedy for information about the stories that people are telling in those spaces and how they’re telling them. I wish that the Sydney Writers’ Festival had seen the difference between the two. Next year I hope they do. Jodie grows up as a kind of lab rat, but one that is looked after by fatherly professors (one of whom is played by Willem Dafoe). As an adult she is handed over to the CIA so they can use her as a weapon. Later, when she escapes from them, they hunt her. But none of this happens in chronological order so we have to piece the story together. I like this narrative device. I don’t have the same reaction to adult Jodie, though Ellen Page is fantastic. I think the difference is we see a lot more of adult Jodie and in a variety of situations, some of them really quite random and not particularly well written. When Heavy Rain, Cage’s previous game, came out, he spoke about believing in emotion in games and said that that experience could be generated by following someone’s everyday life. He seems to have stepped away from that idea somewhat because this game has a good amount of running, shooting and fighting. But as well as that, you also deliver a baby, busk on the street and cook a meal and tidy up your apartment in preparation for a date. I enjoyed all of that more than I enjoyed the shooting and fighting, though some of the running away (particularly on a motorcycle) was quite good. But some of these episodes were random. Jodie ends up homeless. In terms of the story, I can understand why that happens, but it’s in that episode she busks on the street and delivers the baby. I’ve just said I liked those things, and I do, but in terms of a cohesive overall storyline, they’re quite random. At another point, she’s hitch-hiking in the middle of the desert and ends up staying with a Navajo family. This doesn’t have to be random, but it is. How did she get to the desert? Why is she there beyond needing to be there for this particular story? It turns out these people are being tormented by an entity, which is rather convenient. There is a grandmother living in the house and she has not spoken for 30 years. So of course, on cue, the grandmother will find her voice and remember the words of a ritual to rid the family of the demon. Deus ex machina. I don’t want to see the hand of the writer at work in the story. I want to believe the story. The random stories don’t help the overarching narrative. Everything needs to be firmly connected to advancing a combination of the plot and characterisation, which will also hopefully illuminate some central themes for us. If I’m in the middle of playing one of the chapters and I’m asking myself “why is this chapter here?” then it’s not doing its job and shouldn’t be there. In this context, the more actiony stories that make sense are the ones that involve US or other governments building hardware to access the entity world (called the Infraworld) and Jodie needing to help when something goes wrong. I think it’s good we see Jodie on a CIA mission, though the one they’ve chosen is again, just random. It was a missed opportunity to have her interact with entities and their world in a way that would turn out to be threatening to herself and Aiden, because that’s something we don’t see. But having Jodie need to leave, and then be chased by, the CIA after the mission does make sense. The stories that lie at the heart of the game are the ones about Jodie’s everyday life. These stories all make sense, pretty much by definition, because they’re helping us understand who she is and what her life is like. We see her as a child and a teenager first at home and then in the lab. We experience her trying to fit in with other kids her age and then later the first freedom she has when she gets her own apartment. I wish there were more of these, particularly when she’s a young adult. The chapter where she found her mother was a stroke of brilliance. But I am undecided how I feel about the homeless episode. I think it could have fit better if it had been positioned better into the overall storyline. As I said, fighting and shooting have been added. But Cage doesn’t believe in Game Over so Jodie can’t die. Not until the end anyway. So when the CIA parachutes her into their random mission (going into Somalia to kill a warlord), the fighting is really boring. There are very well-mannered soldiers who keep their back turned to her so she can jump them and gunmen who operate in a predictable fashion so she can kill them. She might get captured but she’s never going to die. And that’s fine, I don’t want her to die, I don’t particularly like Game Over either. But then the story needs to stretch itself. Can she get hurt so badly she ends up in a Somalian hospital? Or do the CIA have to rush in early and get her out? What else can happen as a repercussion from the fighting going badly or well? Otherwise it’s boring. It’s very boring. Aiden’s abilities are crafted according to the needs of the particular storyline you’re playing. Therefore, they are riddled with inconsistencies. He can move away from Jodie, but only to a certain distance. I can’t tell you exactly how far that is though, because in one story it could be about 500 metres, but in another it could be 50 metres. When you want to access him, you press the triangle button on the controller. Theoretically, you can do that at any time. Unless the story doesn’t want you to at that particular moment. And while he has the ability to possess people, it’s only some people – the ones the game has decided you need. There is very little freedom in this game. Everything has been prescribed in advance. Even when I walked into a room, I would discover that I had access to only part of the room. Cage does not make open world games. Heavy Rain imposed limits on how far I could go in any given environment. But Beyond: Two Souls further reduces the space in which I have to move. And that dramatically decreases my agency as a player. Cage has said there are 23 endings to the game. But these endings are just about who is left standing. And whether Jodie winds up with a companion or not. When I played Heavy Rain I felt that I had minimal control over the storyline, but it wasn’t the case. 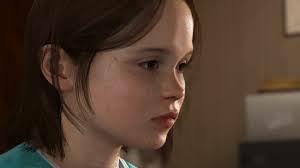 In Beyond: Two Souls it is the reality. This game is much less like a game than Heavy Rain. And so, even though overall I enjoyed it more than its predecessor (thanks to playing Jodie), it’s a backwards step. That crossover place where games and movies meet should be a true hybrid of the two creative forms, where they bring out the best in each other. It’s not meant to be mostly movie and not very much game. “Games are encounters with squalor. You don’t play a game to experience an idea so much as you do so in an attempt to get a broken machine to work again. I think Beyond: Two Souls forgot that it was a game.